Once a tourist heaven, Goa has now opened up its doors to the real property market. The property souk of Goa has loads of options – from villas to beach houses. The following post explores the real property market of Goa. Read on to know more. Deep blue seas, vast skies stretching up to the horizon – and sun-kissed beaches – Goa is definitely a haven for travelers. Tourists from all across the globe flock to this state every year; whether to soak up the sun or to experience a long stay at a traditional Goan house — the place offers absolute ecstasy. However, while the smallest Indian state offers an exciting experience in terms of travel and tourism, it also happens to be one of the leading states offering the best Gross Domestic Product (GDP)—almost two times higher than that of the entire country. While the state continues to be one of the best travel destinations, of late, the property market of Goa has been in the news. Interestingly, among all the Konkan properties, the property market of Goa has been pretty much in demand with the end users. Investors have been rolling out enough money in order to capitalize the potentials of the Goa residential property market. One of the biggest factors contributing to the growth of the Goan property market is the tourism boost in the state. Since tourism is one of the most popular revenue generating segments in the state, tourism has propelled the growth of the property market to a great extent; industry experts opine that a recent trend of second hand homes being sold off at a bigger price has been noticed. This shows that end-users are even considering buying a property in Goa for investment purpose as well. As the place happens to be a tourist heaven, even foreign tourists have started taking a keen interest in Goan properties. 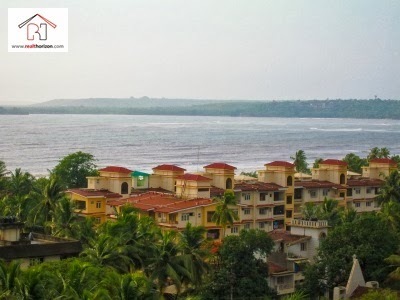 It has been found that foreigners have been inquiring about apartments and beach properties in Goa to a great extent. France and United Kingdom tops the list of foreign tourist in this category. Reasons adhered for the same is the low crime rate along with the lifestyle of the state that is highly westernized in nature. The real property markets of the region have recorded a substantial hike of 15% to 20% in the last two year. 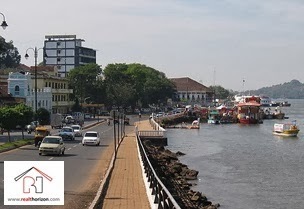 Apartments in areas in Vasco and Panjim are some of the hot properties within the Goa property. These areas have sold off multiple inventories within a few months of their launch. Leading developers like DLF, Riviera, Parsavnath and Nirvana Nest have launched several real estate projects within the state. Some of the prime locations where you can find properties are Anjuna, Vasco, Vagator and Calangute. Overall, the property market of Goa has been performing extremely well in terms of investments and also mere purchase powers. Those who are willing to invest in beach properties or a property that is a little different from the normal ones – the Goa property market has several options for them. Author Bio: A follower of the latest trends in Real Estate, Sampurna Majumder has been lending her expertise to 99acres.com by writing articles and blog posts on the in-news topics such as these.